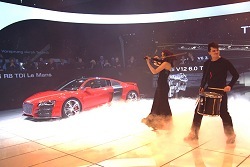 It's no exaggeration to state that the Geneva Show could be the most significant of the year. The doors have finally opened in Geneva. You'll find details in the individual articles linked from the manufacturer pages to the left, along with extensive photo galleries, but below is an overview of the show as it happens. Taking centre stage at Alfa Romeo this year (leaving the models out of the equation) is the achingly gorgeous 8C Spider, on show alongside the equally beautiful 8C Competizione coupé. The facelifted Brera and 159 won't draw a second glance next to that pair. On Audi's stand is the final production version of the monstrous Q7 V12 TDI, along with a 'concept' version called the Coastline. The A4 Avant also received its world debut, as did the DTM racing version of the A4 saloon and the new TDI-powered TT. Geneva marks the world debut of the new M3 Convertible, 320d Convertible and 125i Coupé, along with the first European outing for the BMW X6, but all eyes will be on the BMW stand for the technology packed Vision EfficientDynamics concept. A new range of customisation options are also on hand for buyers of the 1 Series and 3 Series under the 'BMW Performance' brand. Cadillac shipped over its Detroit Show stars for Geneva, including the Provoq concept, the new BMW M5-rivalling CTS-V saloon and the super-sharp CTS Coupé 'concept'. The world premiere of the three-door Aveo was overshadowed somewhat by the European debut of the Corvette ZR1. The unstoppable train that is the Fiat 500 publicity machine continued to go strong in Geneva, with the appearance of the new Fiat 500 Abarth and the 500 Aria concept car, a proposal for a lower CO2 version. A Panda Aria was also on hand. 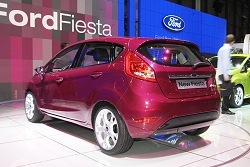 Centre stage on the Ford stand was given over to the fantastic looking new Fiesta hatch in both three- and five-door formats, along with the showroom ready Kuga SUV and a facelifted Focus Coupé-Cabriolet. Honda gave its new Accord and Accord Tourer their world debuts in Geneva. Some say it's just a facelift, but Honda has significantly updated the car and hopes to compete more with the premium brands. 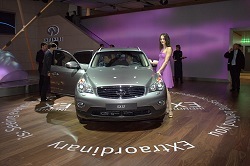 Hyundai's stand was dominated by new 'green' versions of its cars, to be marketed under the i-blue brand. The HED-5 concept was interesting too, presenting a new interior concept in a six-seat MPV design. The Geneva show is a crucial one for Nissan's luxury arm, as it marks the company's launch in Europe. To coincide with such a momentous occasion, we saw the all-new Infiniti EX compact SUV, as well as a significantly revised FX, the latter being one of the best-looking SUVs on the planet. Kia's stand centres around three concept versions of its forthcoming Soul crossover/supermini. Though featuring garish add-ons, a peek inside confirms that it's almost ready for production. Apparently the KTM X-Bow received its production ready debut in Geneva, though we thought it had that at the Autosport International Show earlier this year... Who cares? We want one. A sneak peek on the Lamborghini stand on the night before the show revealed the new Gallardo LP560-4 in all its brilliant white glory. Nice. With Fiat's fortunes buoyant, now's a good time to return the Lancia brand to Britain, and the all-new Delta making its debut in Geneva will be the first Lancia produced in right-hand drive. Although the LRX is not new, it is still cool, so Land Rover can be forgiven for making a song and a dance about bringing a black and silver version to Geneva for us to pore over. We were hoping that Lotus might reveal its new 'Project Eagle' sportscar in Geneva, but it's keeping it for the British Show. Instead, we were shown a bit of its chassis... The new tri-fuel capable Exige 270E is tasked with keeping the debate on future fuels alive and Lotus also revealed a substantially revised range of Europas. The dark, brooding GranTurismo S awaited us on Maserati's compact Geneva stand. Very nice indeed. It appears that the only new model of interest on the Mazda stand is a slightly sportier three-door version of the Mazda2 super-mini. The facelifted RX-8 was also on hand though, as was the swooping Taiki concept car. Alongside the new SL (including the AMG versions), facelifted CLS and new CLC, Mercedes debuted a new range of 'eco' models under the 'BlueEfficiency' tag. MINI's big news is the in-house production of the John Cooper Works kits, which made their debut in Geneva on the Clubman, as well as on the regular Cooper S hatch. Is it just us or are Mitsubishi's cars getting cooler by the day? Next up is a five-door hatchback version of the sharp new Lancer. 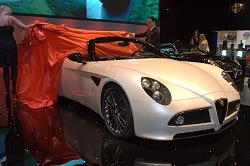 In Geneva we were shown the Prototype-S, which is essentially a blinged up example of the showroom model. Morgan is trying desperately to update its image and the LifeCar concept aims to prove that the archetypically British brand has a place in the modern automotive landscape. Alongside was the limited edition, production ready Aeromax and an updated Aero 8. Geneva gave us another chance to drool over the formidable GT-R, it being the car's European debut. Alongside will be the Pivo II concept car and the new-look Murano. Nissan also revealed prices for the GT-R, with the entry-level model costing just £52,900. Peugeot's Geneva stand was graced with the presence of two new versions of the 308: the GT warm hatch and the SW estate. Alongside the new Koleos SUV, Laguna GT and the feisty Renaultsport Twingo, Renault's promised concept car was unveiled at the show as the sporty Megane Coupe. 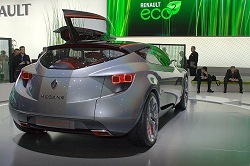 Whatever about a potential new Coupé in the line-up, the concept hints at how the next Mégane will look. 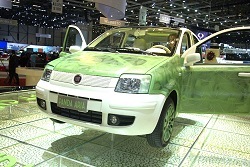 Its stance is very promising indeed, though the complicated doors will never make production. If you grow tired of all the green concepts and technology in Geneva then take a wander over to the Rolls-Royce stand, where the luxuriant new Phantom Coupé makes its world debut. We love it. 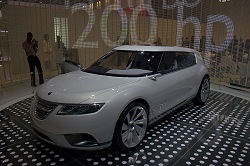 Saab's stand is awash with white concepts, specifically the 9-X BioHybrid and the closer-to-production 9-4X BioPower. Very cool. Skoda's new Superb was launched in Geneva and it promises to be so much more than just a cheaper VW Passat this time around. Initial details suggest that the Superb will be a desirable and well equipped family car. The clever Twin Door hatch works very well, though may just be to do away with developing hatch and saloon versions of the car for different markets. Though Suzuki's stand featured the interesting Kizashi concepts and the SX-4 WRC car, the only debut of note is the first European outing for the Concept A-Star. 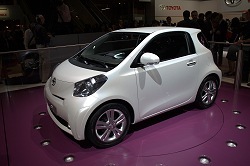 Toyota gave a lesson in down-sizing in Geneva, giving its cool iQ city car its world debut alongside the equally stylish Urban Cruiser. The only potential problem with the iQ is price. 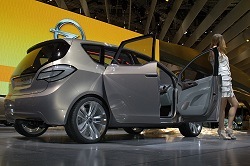 Big news on the Vauxhall/Opel stand was a concept version of a replacement for the Meriva mini-MPV. 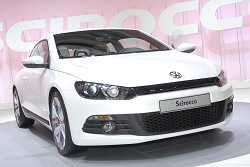 VW's new Scirocco is the German group's big news and it looks promising, despite toned down looks from the Iroc concept. Next to that, VW is showing a bevy of green cars, including the Golf TDI Hybrid, Passat TSI EcoFuel and Sharan BlueMotion. The stylish Passat CC also received its first European outing. 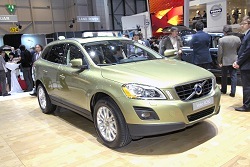 Volvo launched the production ready XC60 in Geneva. 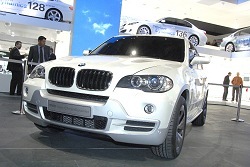 The new compact SUV is being touted as the safest and most 'stunning' car the company has ever made. Zagato's interpretation of the Bentley Continental GT may not be to all tastes, but it certainly has presence!